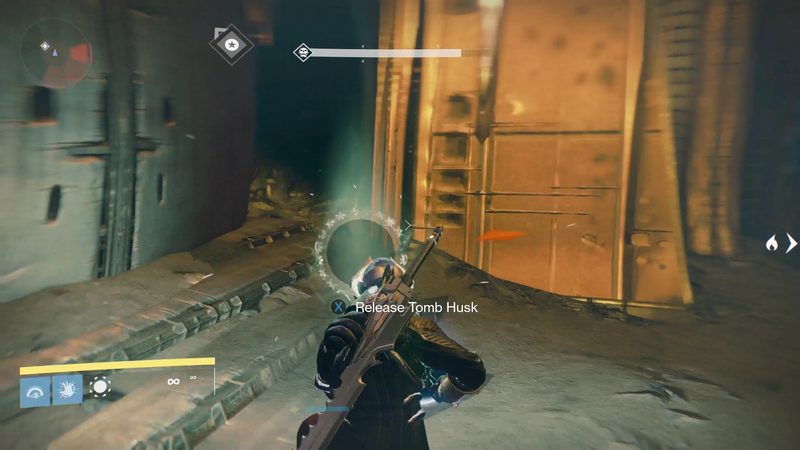 How to get the Black Spindle in Destiny. This guide will show you how to acquire the Black Spindle in Destiny, one of the weapons you must own if you take PvE seriously. The Black Spindle is only available in the Heroic version of the Lost to Light mission. Before you start the Lost to Light mission, remember two things. Firstly, you must not wipe before the 10-minute timer in the Ketch begins. Wiping before you enter the Ketch causes your path to the alternate ending to be blocked. Secondly, always kill the Blight Bombs first. 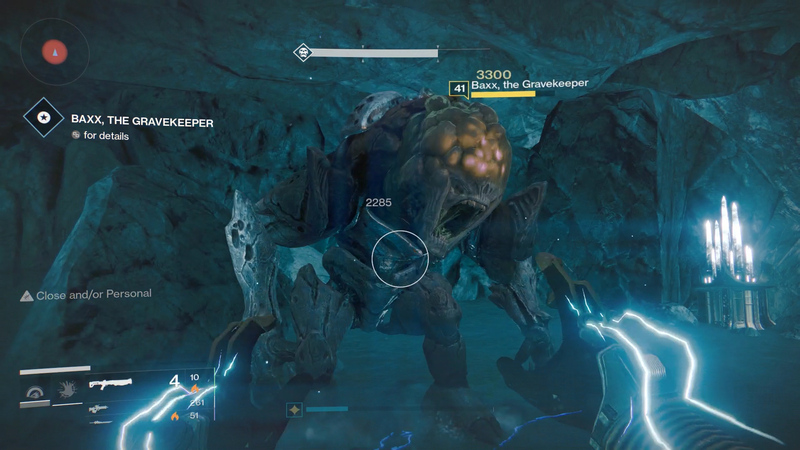 If left alive, the Blight Bombs spawn extra enemies which take time to kill. And time is a valuable resource when you’re trying to get the Black Spindle. Begin Lost to Light on the Heroic difficulty. As soon as the mission starts you want to sprint past everything and get to the room where the Ogre, Baxx, the Gravekeeper spawns. Baxx spawns at the back of the room. Killing him quickly makes everything else disappear. Once the fog of darkness disappears start running past everything, but be careful not to wipe. Sprint through the dark corridors until you reach the first room with the Relic lock. Grab the Relic, put it in the holder and do a lap of the room while the door opens. Be careful in the next room as you’ll have to find and place two Relics into the locks while avoiding or killing the Tortured Knights and the Taken Wizard. Pass through the unlocked door and into the next large room. Ignore the Relics and run to the opposite side of the room and pass through the open door and up the hill to find the Ketch’s gravity lift. The Black Spindle alternate ending begins here. Soon after entering the Ketch, a 10-minute timer will begin counting down, so before you enter, take the time to restock on ammo or recharge your Super. When you’re ready, enter the gravity lift and move into the first room. 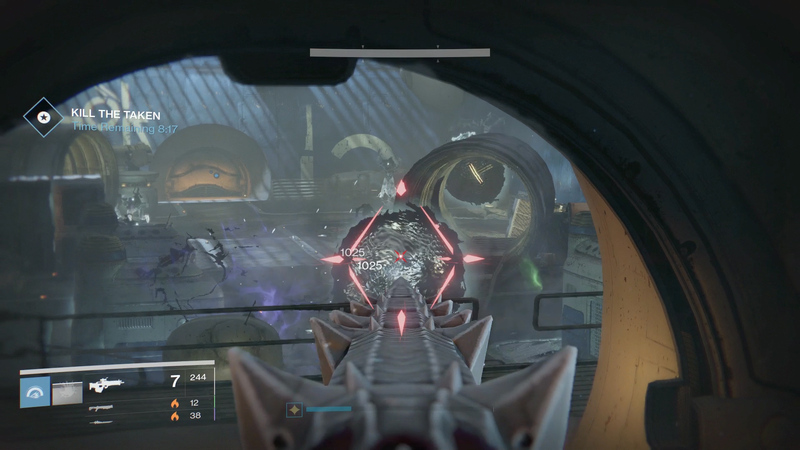 As you enter the first room take out the two Blight Bombs. One will be directly in front of you and the other at the back left. When the Blight Bombs are down, kill the Devoured Knights and the Tortured Centurion, saving the Psions until last. The door will unlock after everything’s dead. There are three Blight Bombs in this room. The first is slightly to the right, the second is at the back right of the room, and the third is at the back left of the room. 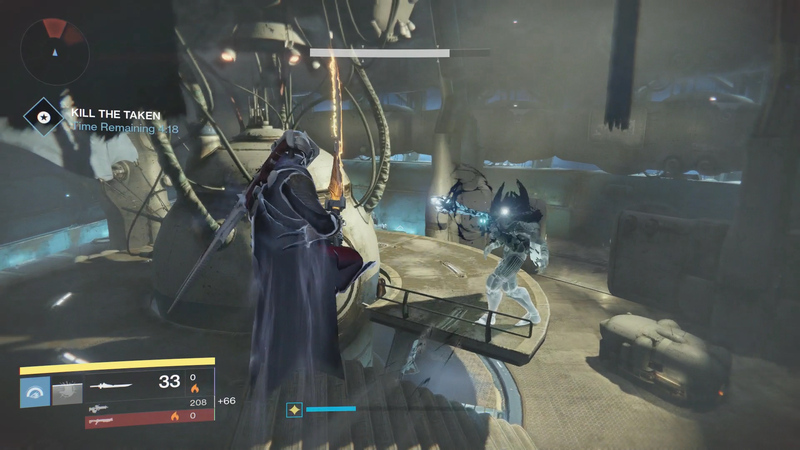 After killing the Blight Bombs, focus on the Tortured Wizards around the room. One is on the right side near an access tunnel while the other two are on the left side of the room. Switch to killing the Snipers that are perched above the room. One is on a balcony to the left and the other three are on a walkway. The door at the back of the room will open once everything is dead. Driviks, the Chosen will be in the center of the room. Ignore him for the most part, focusing on taking down the Blight Bombs, then the enemies, then dealing damage to him. Waves of enemies will spawn as you deal damage to Driviks, so pay attention to how much health he has. Dealing too much damage to him can spawn two waves at once. Don’t sit in the entrance room during this fight or risk being overrun. 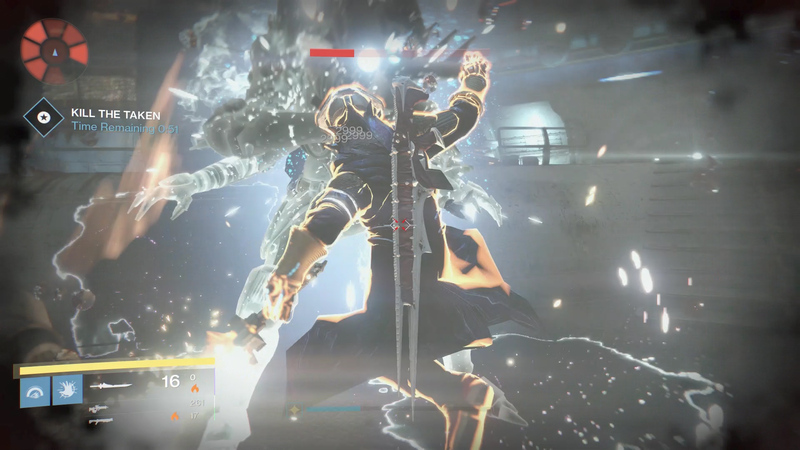 If you have the King’s Fall Raid weapons, use them to do extra damage to Taken enemies, Driviks included. However, the best tool for the job is the Exotic Solar sword, Raze-Lighter, as it absolutely demolishes Driviks’ health. You can also take advantage of Super Abilities. Get your Stormcaller to clear enemies, a Sunbreaker to beat down Knights, and a Nightstalker to keep everything trapped. Driviks will spawn adds at certain points as you drain his health. Remember to destroy the Blight Bombs when they spawn, clear the adds, and then focus your fire on the boss. Here’s what to expect. Once you deal with the adds from the final wave, kill Driviks, the Chosen, and be sure to clear out any stragglers. Everything must be dead for the mission to be successfully completed. If you followed this guide and managed to kill Driviks, the Chosen and all the other enemies within the 10-minute time limit, you should now find yourself the proud owner of a Black Spindle! If you’re lucky, maybe even the Vienna Singer ship. 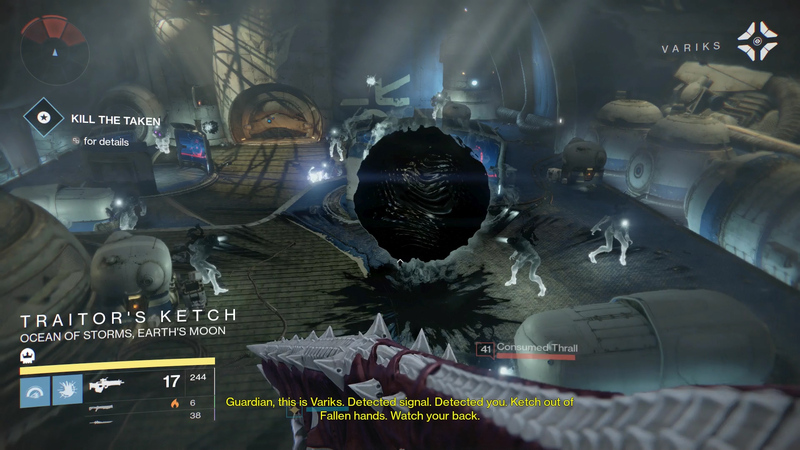 Take your Black Spindle and level it up, then use it to smash Golgoroth in the King’s Fall Raid.